There are no flawless software systems or applications. When flaws result in security vulnerabilities, threat actors exploit them to compromise those systems and applications and, by extension, the endpoints on which they reside. Although software vendors issue patches to remediate flaws, many financial institutions do not apply all available patches to their production environments. In addition, when systems or applications reach their end-of-support, they no longer receive vulnerability patches from their vendors. These two scenarios describe the conditions under which a system or application is considered "unpatchable." When patching or upgrading is no longer feasible, security professionals need to identify alternative ways to secure the unpatchable systems and applications to support their ongoing use in the environment. Successful cyberattacks against a number of financial institutions across the globe from 2015-2018 have resulted in multiple instances of fraudulent fund transfers over the Society for Worldwide Interbank Financial Telecommunications, or SWIFT, network. As part of an effort to enhance the cybersecurity of the entire eco-system, members of SWIFT must annually self-attest to sixteen mandatory cybersecurity controls as of year-end 2017. In future years, non-compliance with these controls may result in notification to SWIFT counterparties and/or appropriate regulatory bodies. Furthermore, eleven advisory security controls are provided as best practices to further improve overall cyber hygiene across the SWIFT eco-system. 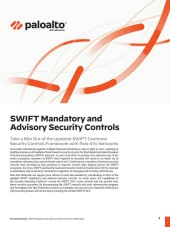 No single vendor can provide complete compliance with the entire set of SWIFT mandatory and advisory controls. 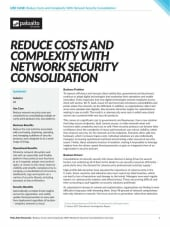 However, the Palo Alto Networks Security Operating Platform delivers the following: Support for nearly 75 percent of the SWIFT Customer Security Controls Framework, where various elements of the Security Operating Platform are able to address 12 of 16 mandatory controls and eight of 11 advisory controls. Definitive least-privileged access control and other essential security capabilities to effectively segment and protect the local SWIFT environment. Capabilities above and beyond the baseline specifications to more thoroughly protect your local SWIFT infrastructure and the rest of your organization’s computing environment from the latest unknown malware and advanced threats. 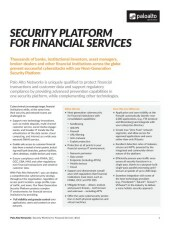 By leveraging the Palo Alto Networks Security Operating Platform, financial institutions will be well on their way to complying with or exceeding the SWIFT mandatory and advisory controls. Beyond merely an exercise in compliance, the prevention philosophy behind the platform will improve a financial institutions overall cyber hygiene and provide better security outcomes for the organization. The result will be a more secure environment for your financial institution – one in which legitimate traffic is known and limited, with automated security enforcement to detect and address deviations. Future annual self-attestations to SWIFT will be much less stressful as your institution’s cybersecurity posture will be above and beyond their required baseline level. An overview of the Palo Alto Networks Next-Generation Security platform for the financial sector The financial services industry remains a favorite target for cyberattacks. The lure of sensitive data and funds is quite strong to malicious actors. 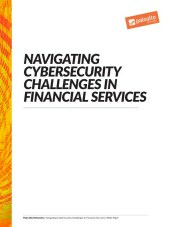 Additional challenges in securing financial institutions include their complex IT environments, continued use of legacy technology, and preference for defense in depth (which is often equated with vendor diversity). Regulators continue to impose new obligations to strengthen controls and better protect the industry. Top threats to the industry over the past two years include various families of ransomware, remote access Trojans, and information stealers. All of these target the endpoint as this is the path to the valuable data held by the financial institution. 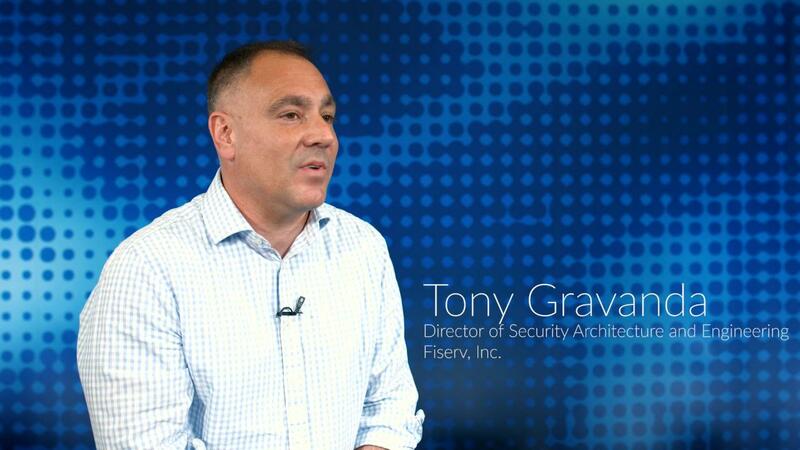 The traditional approach of point products for specific security functions and network perimeter-centric protection has proven to be ineffective. Reports of data breaches in the financial services industry have become commonplace. A different, and better option is a multi-layered approach based on natively integrated, security enforcement points that share threat information and revise protections accordingly. This results in automated prevention and next-generation security for the network, endpoints (servers, desktops, laptops), and the cloud. Moreover, the use of cloud-based, dynamic malware analysis and threat intelligence enables updated preventions in as little as five minutes - across our entire customer base after the initial discovery anywhere. This applies to the local network, endpoint devices, or even the public cloud. Download the whitepaper to read more about how our next-generation security approach is better able to protect the highly targeted financial services industry. As the financial services industry undergoes a digital transformation to streamline operations, become more competitive, and remain relevant with their customers, they face increasing volume of cyber threats. Attackers continue to be tempted by the vast quantities of easily monetizable personally identifiable information (PII). Public cloud Infrastructure as a Service (IaaS) offerings, such as AWS, can quickly accommodate unexpected or temporary business computing workloads. However, proper alignment of security and resiliency to enterprise standards and policies is still required. Significant concerns over the security of data, workload and infrastructure have slowed the adoption of public cloud services by the financial services industry. Regardless of where it resides, the financial institution’s data is, ultimately, the target of malicious entities. Consequently, measures to appropriately protect the data must be enacted for the public cloud as well. 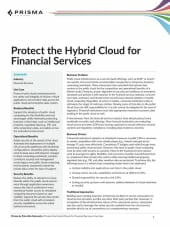 Download our use case to learn how Palo Alto Networks can help your organization protect IaaS hybrid clouds in financial services. Learn how Palo Alto Networks helps protect virtual machines in a private data center for the financial services industry, and read about one anonymous financial institution’s private cloud deployment. Advanced attacks have been able to evade traditional security measures, target specific users and vulnerable applications, steal sensitive information or commit outright fraud. One approach to preventing such advanced persistent threats (APTs) is to identify and protect against new exploits, malware and malicious URLs. This can be accomplished by “sandbox” analysis of unknown threats. 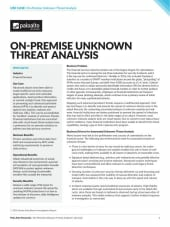 Organizations such as financial institutions that are uncomfortable with cloud-based threat analysis may choose on-premise threat analysis solutions to address any data privacy concerns. Download this whitepaper to read about how Financial Services organizations can use on-premise threat analysis solutions to mitigate compliance risks and maximize prevention against cyberattacks. Private cloud computing provides businesses with flexible, scalable, on-demand IT resources. 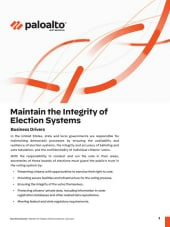 However, security remains a significant challenge. The very principles that make cloud computing attractive run counter to cybersecurity best practices, such as separation and segmentation. Malicious actors seek these open environments where much of the lucrative data they desire can be found, and if a virtual environment, without proper security and segmentation in place, is compromised, the attacker has access to everything – critical data included. 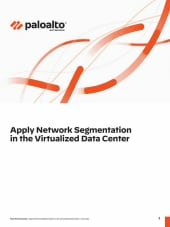 Download the Network Segmentation use case to see how the Palo Alto Networks Next-Generation Security Platform applies segmentation to increase security and protect applications and data in a virtualized data center. 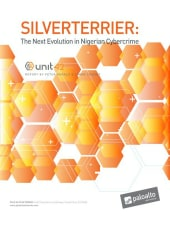 Unit 42 tracks Nigerian Threat Actors and finds they've evolved into capable and formidable adversaries successfully attacking major companies and governments. 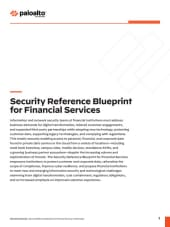 The Security Reference Blueprint for Financial Services IT enables institutions to augment the security of existing infrastructure, enable new applications, provide greater access to data, and prevent advanced threats without disrupting vital operations. 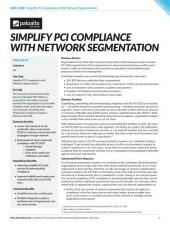 By taking a pragmatic approach to introduce network segmentation, financial institutions can minimize business disruption and reap benefits, such as limited exposure after an intrusion, and reductions in lost productivity, remediation costs, and reputational damage from actual loss of personally identifiable information (PII) or financial data. 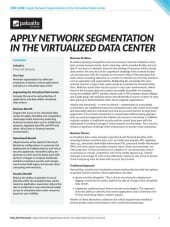 This white paper discusses how network segmentation enables financial institutions to survive intrusions and minimize or prevent data breaches. The AUTR provides visibility into the real-world threat and application landscape, helping security teams to understand how adversaries are attempting to attack organizations around the world and build proactive, actionable controls. 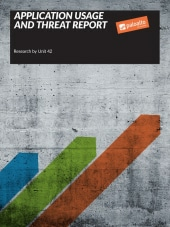 Built by the Unit 42 threat research team, the report correlates data from more than 7,000 enterprise organizations, providing broad visibility into critical trends. Read how financial institutions around the world can minimize risks presented by cybercriminals. In the face of government regulation such as the Health Insurance Portability and Accountability Act (HIPAA), personal health information (PHI) continues to leak into the public domain at an alarming rate, resulting in fraudulent insurance claims, identity theft and other costs to the health care industry. Research indicates PHI can easily be found on peer-to-peer (P2P) filesharing networks. But why?